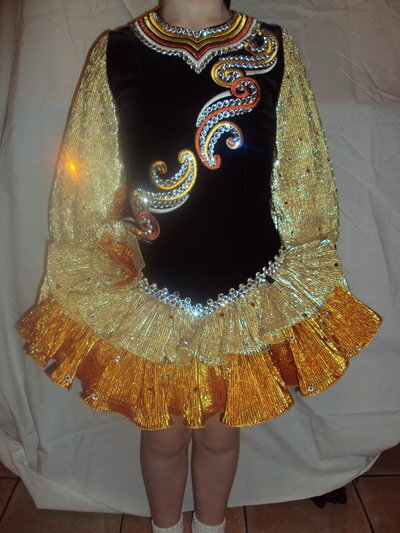 Stunning Siopa Rince dress for sale. 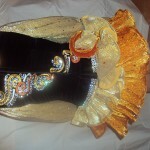 This dress has a black bodice with gold sleeves and a gold and rust skirt. This dress has hundreds of crytals on it and had gold crystals on the skirt and sleeves. Its truely stunning on stage and can be seen from the back of any hall due to the sparkle. 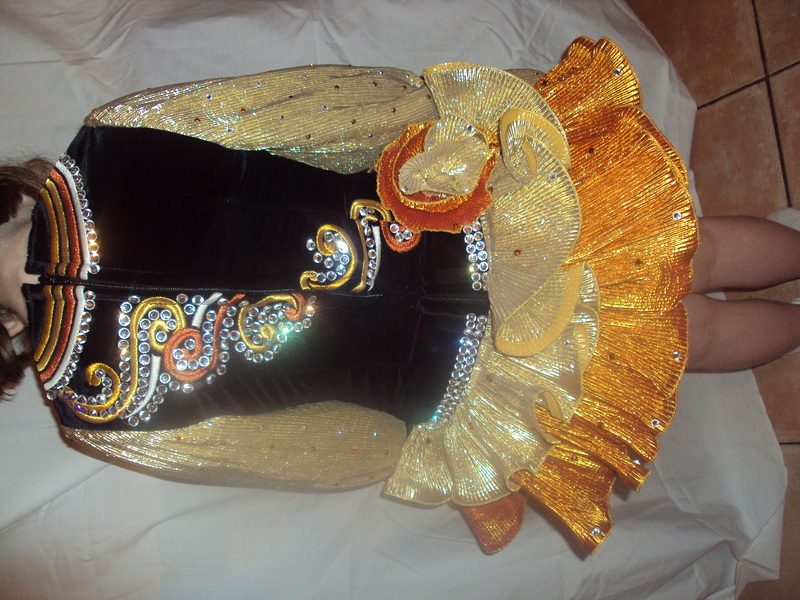 The dress comes with bloomers to match and also a headpiece that was made specificially to match the dress at Bella Dance.